Duolun Road is a famous street in Shanghai where Lu Xun, Mao Dun and Guo Moruo engaged in literary activities. There were many bookstores and teahouses on both sides of the street in the late 1990s, but nowadays, there are few left. 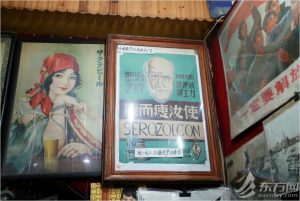 Guo Chunxiang and his “Great Shanghai 1933” museum is one of them. Guo Chunxiang was born in Shanghai, living in relative poverty, wearing second-hand clothes all the time. 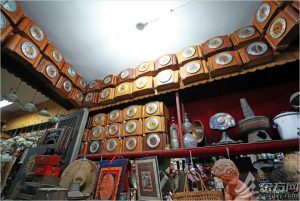 As a result, he became interested in collecting old things and this passion has lasted 40 years. Everyone will be amazed at the quality and quantity of collections when walking into the museum. 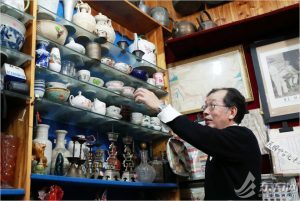 Guo Chunxiang doesn’t accurately calculate how many items he has, but there are definitely hundreds of thousands of pieces. 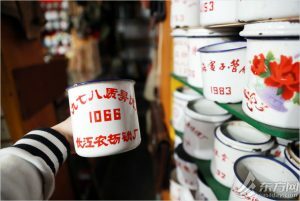 Various enamel cups and teapots are in every corner, and the old road signs and the posters of the Republic of China are hung on the walls. The visitors are mainly middle-aged people. 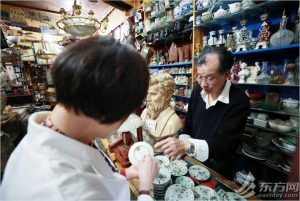 It is his dream to pass on Shanghai’s culture and memory. 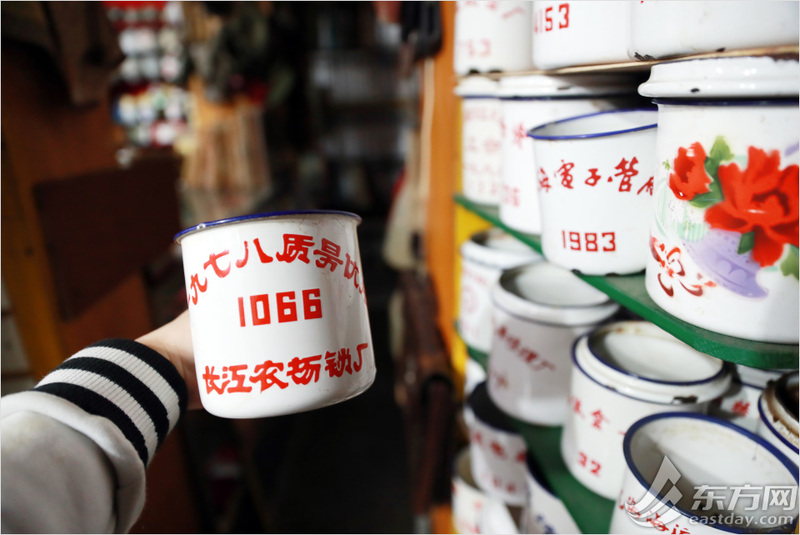 He is gradually transporting some of the fine collections to Jinze Town in Qingpu where there will be an Old Shanghai Exhibition in May, 2019.